IT industry has achieved new heights in past decade. It has expanded to a level that even people who have been working in this industry for couple of years are not aware about its full potential and opportunities that it provides. Conquer IT is a unique program design and delivered by Mr. Vikas Jain (www.vikasjain.org), who has worked in companies like IBM and McAfee and even got offer from Microsoft. Industry Quadrants: IT Industry is divided into four quadrants where CTC, eligibility critieria, interview criteria etc. varies a lot based on respective quadrant. With this in-depth knowledge about quadrants, one can aim for better opportunities. Approaching Corporates: Most people are just aware about formal channel to approach a company i.e. HR common email ids or waiting for off-campus call. Few people might be aware about consultants like naukri.com etc. But there are other channels which have better success criteria as compared to these well known channels. Resumes and Profile best practices: Best practices to create a successful resume to ascertain success. IT Industry Profiles: IT industry has many profiles that most people are not aware of. This would cover details about more than 15 profiles in IT industry. Interview Secrets: Understand the psychology of interviewer and it would increase the chances of cracking the interview. How one can get more than 50% hike during job switch? Software Engineers and Senior Software Engineers. Only serious freshers/undergraduate are suggested to attend the program who can put significant efforts. 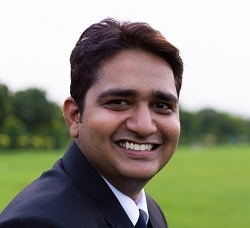 Vikas is the epitome of what is considered as perfect mentor-ship and guidance. What makes Vikas an exceptional teacher is that he understands the fact that being a teacher requires him to fully develop his student’s personality. He is more than a teacher as he solves his student’s problem like a friend and guides them like a true mentor Any combination of English alphabets can’t fully describe my respect and appreciation towards Vikas. The fact that he likes to bring out the best in everyone with apt motivation and push explains why I personally respect him. He is a great human being as well as a great teacher working for a genuine cause and any student who finds himself under his guidance should consider himself very lucky. Your decision to attend is absolutely risk free. If after participating in the first session you decide the event is not right for you, simply notify in writing to a designated official at the program and turn in your notebook and course materials. We will fully refund your tuition for that session. You have nothing to lose, and imagine what you will gain!